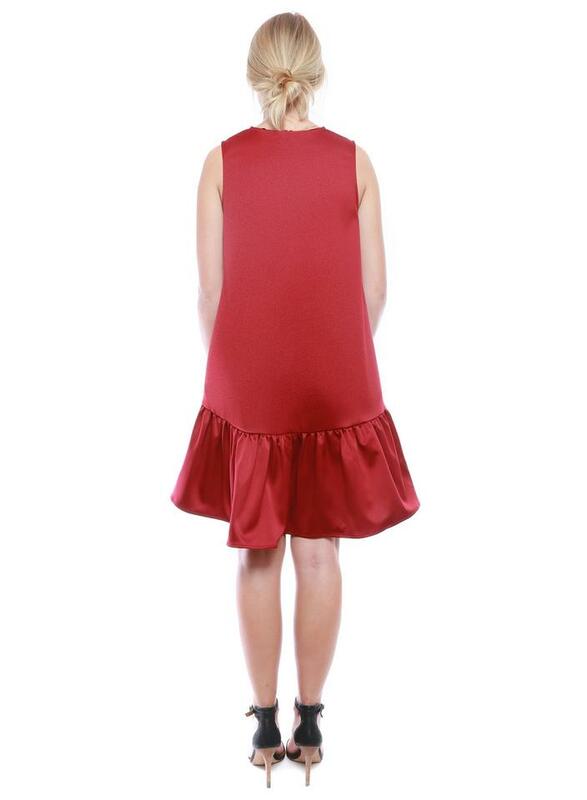 A playful a-line hem with exaggerated ruffle. Crew neck , button back closure. Side seam pockets. Model is wearing size S. Model's height 5'8", bust 32", waist 25", hips 34".